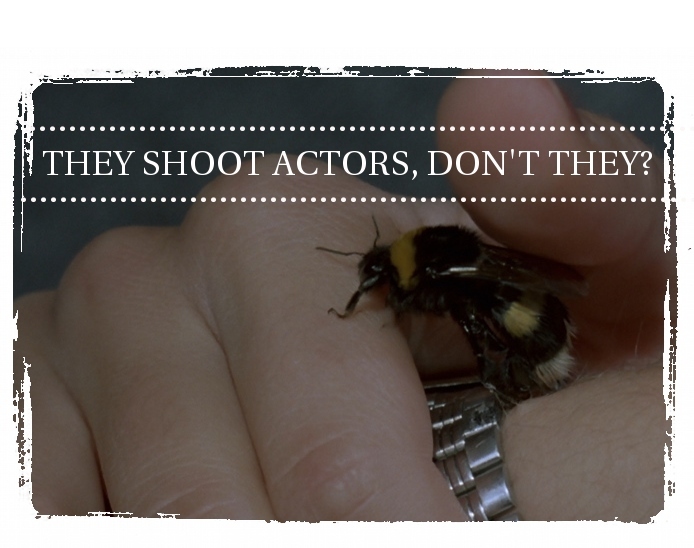 They Shoot Actors, Don't They? : Food, Inc.
Food, Inc. is one of those documentaries that tells you something you already know (or should, in this day and age) but does it so eloquently that it seems worth hearing again. Food-activism stars such as authors Eric Schlosser (Fast Food Nation) and Michael Pollan (The Omnivore's Dilemma) share the podium with farmers of all kinds and a woman whose son died after eating e coli tainted meat. The documentary takes a journalistic approach to investigate why food safety legislation in the United States is so abysmal, and to shed some light on the increasingly mechanized oligarchy of meat (and other food) producers. The usual food conglomerate suspects (such as Monsanto - who over the past dozen years has inreased its control over soybeans from 2% of the market to 90%) are up for criticism, but the truly scary thing is the stories from the farmers who use their seeds - the scare tactics, visits from shady muscle men intended to intimidate, and the endless lawsuits brought against farmers who don't toe the line are so frequent you'd swear these were stories coming out of Stalinist Russia, not the present day USA. Food, Inc. carefully examines the disturbingly chummy relations between big business and government (across both major parties). In opposition to these seemingly unstoppable and absurdly malevolent forces are a few rays of sunshine - organic farmers, concerned citizens and a hilarious yogurt mogul who's poised to conquer Wal Mart's shelves with his organic products. The organic cowboy farmer with the hipster-sized glasses (though I doubt he'd ever characterize them that way himself) who's pictured above was my favourite. His brand of green-tinted common sense is something everyone should hear. Like many of the organic farmers featured here, he's had to fight big meat corporations' attempts to shut him down. Thankfully (and unsurprisingly) for him, the claims that his open air pastures and chicken coops were "unsanitary" were disproved when his chickens tested hundreds of times safer and cleaner than their ammonia-sterilized poultry. In conclusion: watch this if you've been thinking of going on a diet because you won't want to eat anything processed or anything found on the supermarket shelves ever again. Food, Inc. screens again on Saturday Sept 13th at 3:00pm. Check here for more info.